We have arrived! 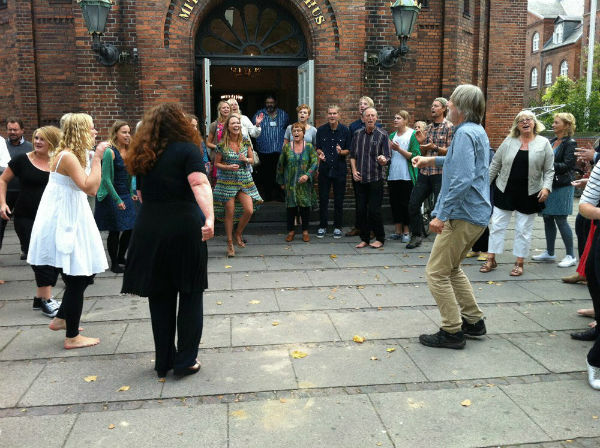 Dancing outside of Stefanskirke, Copenhagen on arrival September 9 2012. What a walk it was! 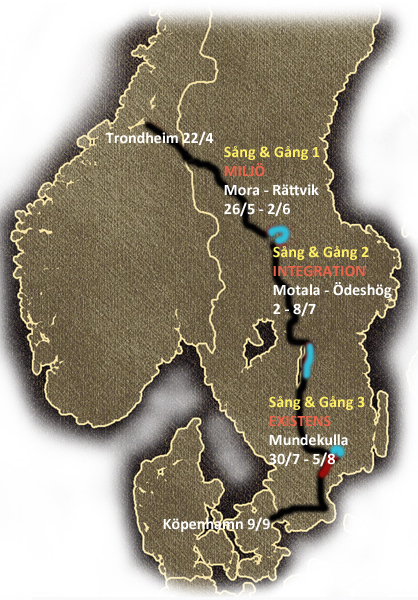 Spring-summer-fall, Norway-Sweden-Denmark, Song-Walk-Talk, Environment-Integration-Existence! Our cup is overflowing of experiences, joy and gratitude! Of songs and stories, smiles and seriousness, love and communion! Hard work? Surely, that was also part of the mix but above all a flow, a divine flow of energy and good cheer, an unstoppable path wanting to extend and a fellowship that wants to grow. But now we rest a while at the roadside and reflect on our adventures. We retell the stories and write down the songs. We talk with each other about how and where the Path will meander from here. Cause surely, all this energy will have to go somewhere. Please keep in touch with the homepage also in the future. There will be more updates and invitations, blogs and images, we’ll be looking back and looking forward. Your experiences and your longing is important to us. Please share them with us. Your song and your path is ours. Listen to Anders and Peter present the Path (in Swedish)!